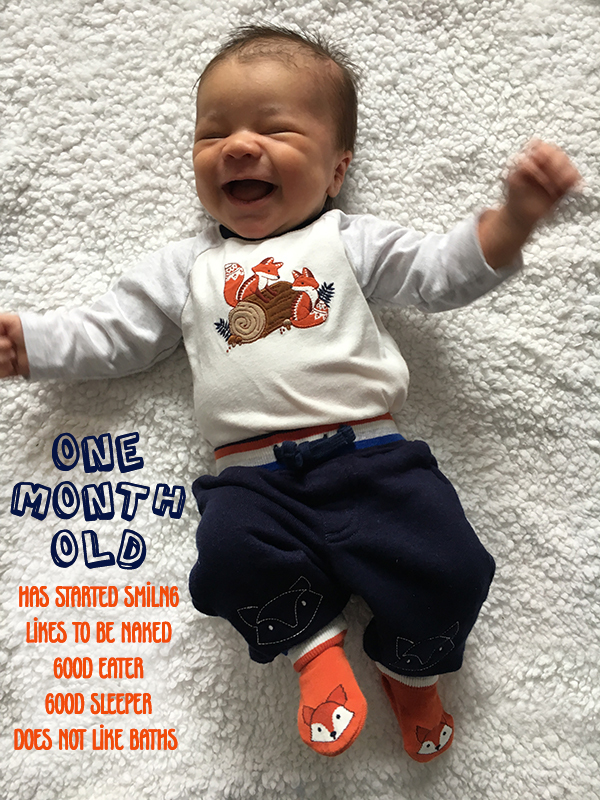 ljcfyi: Jackson Fox - One Month Old! What a gorgeous smile, he looks such a happy baby! Smiles at a month old!?! Lucky Mom! He's adorable, what a sweet smile!